Free players can access this map for a week before and during a Friday the 13th event. Note: This door will take you to Skull Punch Island . Note: This door will take you to Deady Island . Note: This door will take you to Ranger Lowe Camp . Note: This door will take you to Saloon Front . Note: This door will take you to Fire Town . Note: This door will take you to Sleezter . Note: This door will take you to Never Hub . Note: This door will take you to Skull Punch . 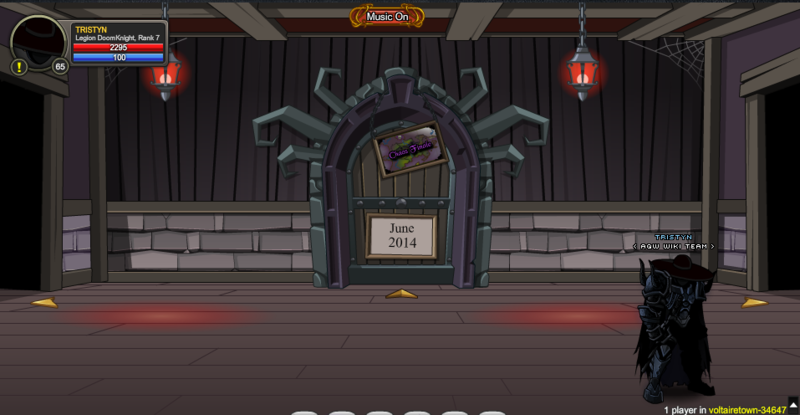 Note: This door will take you to New Finale. Note: This door will take you to Necromance (Location) . Note: This door will take you to Battledoom . Note: This door will take you to Wormhole . Note: This door will take you to Crownsreach FXIII . Note: This door will take you to Blood Moon. Note: This door will take you to Camp Gonnagetcha . Thanks to Haileym1, Harrison, Tristyn and Zaggit G_M .